Most small businesses will now use some form of online banking as a convenient and cost effective banking solution. The technology required is minimal and will be dependant on the size of your business and the volume of banking transactions. All of the major banks now offer online banking and for the small business there are a number of significant benefits. Online banking allows customers to conduct a variety of different transactions via their computer using the internet. Not only can business customers check their balance, transfer funds and set up direct debits but they can also pay staff salaries online. Online banking can also be used to check statements, pay suppliers, and conduct business in a global setting. The use of electronic invoicing, and accounts payable and receivable has made transactions simpler thanks to online banking. For the small business online banking is a convenient and flexible way to manage payments and transactions. Not only can business transactions with banks be conducted from the office environment but also transactions and payments with customers. A merchant account enables businesses to process transactions with customers using debit and credit cards. Any business that provides online shopping should have a merchant account in order to verify and process online payments. Online banking means that the entire shopping process can be conducted online. Bank accounts can be accessed online via computer, telephone or mobile phone. Faster payments now available with same day payments. Regular payment setups such as salaries. 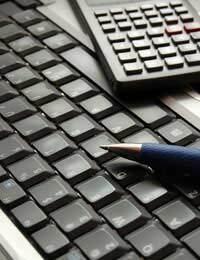 Account information can be downloaded to computer for thorough analysis. Charges using online business banking are usually lower than normal bank accounts. Online banking is a safe way to conduct business despite the multitude of scare stories perpetrated by the media. Internet identity theft, phishing scams and viruses are very real problems, but they should only be a problem to those businesses that do not implement strong security measures. Firewalls, anti virus software, encryption and the latest security updates should all be used within a business network. Business users should learn to take responsibility for the safety of their own networks to avoid any online security breaches. However, if customers are hit by security fraud then they are not usually liable providing they have not breached any of the terms and conditions of their online banking contracts. It is still better to be safe than sorry where online security is concerned, and banks will expect that security measures are taken by the small business. In most cases all that will be needed to conduct online banking will be a secure internet line and a compatible browser, no other technology should be needed. However, for advanced online banking services such as paying salaries there may be software required, usually supplied by the bank. The implementation of extra software will usually depend on the volume of transactions that your business makes every month. Online business banking should be free to most small businesses. There may sometimes be charges involved for larger transaction fees and some accounting service fees. Other business banking fees may be applied for services such as customer credit checking. Merchant account fees will usually comes with a set up charge and processing fees. However, online business banking usually gives customers higher rates of interest than normal bank accounts. Online business banking is pretty much a mandatory application for most businesses regardless of their size. Financial planning and cost analysis should be made simpler with the use of services such as downloadable statements of up to six months. With 20 million consumers shopping online, businesses that sell products cannot realistically afford to miss out on applications such as merchant accounts. Online banking is a simply another step towards making life easier for both businesses and consumers.